﻿ Rental Car Insurance Explained - When Do I Need It? When do you need rental car insurance? If you have ever rented a vehicle, odds are you have been asked by the person behind the counter if you would like to include their company’s insurance coverage. This can sometimes increase your initial costs by 50% or more. After hearing the salesperson’s explanation, it may sound like a good idea to purchase their supplemental rental car insurance. However, you may be paying for something you don’t need. This high-pressure situation of someone waiting on you might encourage you to spend less time considering your options. But don’t worry, we’ll help you find the coverage that’s right for you. Typically, rental car insurance offers the same or similar protection as a normal insurance policy would. It usually covers damages to the car and, in some cases, injury to yourself and the passengers. However, to what extent depends on the individual policy. Take your time to read the rental company’s policy for details about their coverage. Then, consider how it compares to your existing car insurance plan if you have one. If you don’t know or can’t remember your current insurance company’s coverage, then take a few minutes to give them a call or get online to find out. It could save you a lot of money and hassle. The loss damage waiver, or collision damage waiver, is provided by the car rental company and frees the driver (you) from responsibility pertaining to damage to the vehicle. It is an agreement stating that the agency agrees not to hold you fiscally responsible for damages to the vehicle for a specified fee. The waiver does not provide coverage for liability or personal injury. For these protections, you must rely on your own insurance policy. If you do not have auto insurance, then you’ll likely want to purchase rental car coverage or temporary car insurance. 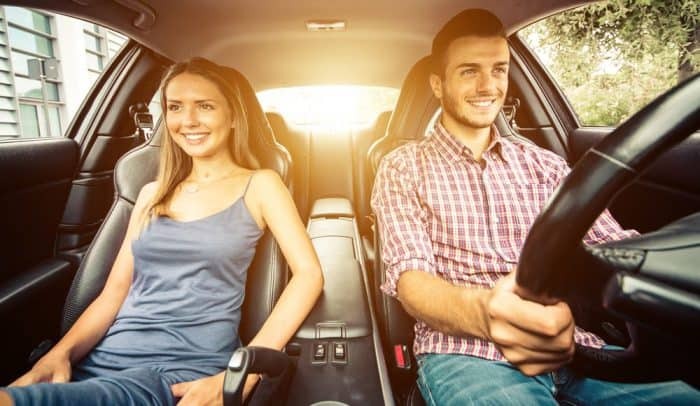 If your current car insurance policy covers rental cars, then this will be your primary insurance and all additional insurance will be excess or supplemental insurance. For many people, this will be enough. However, drivers with low coverage levels and people renting expensive vehicles may want to consider purchasing additional insurance to protect against damages to your rental vehicle that could exceed the limits of what your current policy covers. In many cases, the insurance offered by the rental company will be duplicate coverage when combined with your existing auto insurance. This is especially true if you have high coverage limits, or additional types of coverage beyond comprehensive, collision and liability. If your current car insurance policy only holds the state minimum coverage, then it might be a good idea to look at the company’s policy and see if it offers higher coverage. Another consideration is that if you make a claim on the rental company’s policy it won’t raise your personal auto insurance premium. You should also check to see if the credit card you are using to pay with includes protection for car rentals. If you choose to use your credit card for coverage, be sure to check the coverages that are included. These details are typically found on your credit card company’s website. It may not cover all damages to your rental vehicle so be sure to read thoroughly. For more information, check the terms of your credit agreement. They typically do not cover liability or personal injury protection. If you aren’t sure whether you are adequately covered to drive a rental car, contact your current insurance company. Ask them to review your policy and determine if you’ll need any extra coverages. The most important thing is to not let yourself be rushed. Weigh out the pros and cons and choose the best option that is right for your situation.